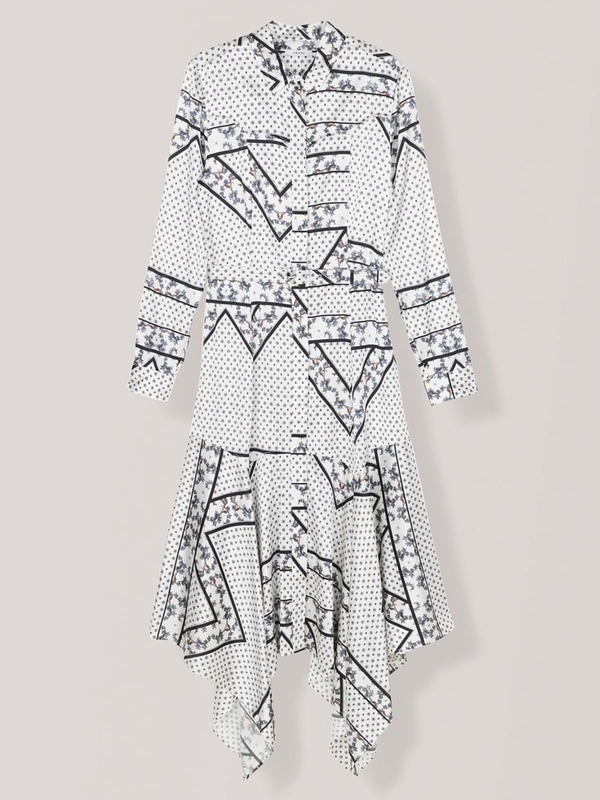 White mid-length silk dress by Ganni with asymmetric print. The dress has long sleeves, a small collar, button placket and an asymmetric skirt. The dress also has a removable belt in the waist.